Lately, there’s been a visible upswing in what I like to call “theme runs”. Unlike your old, standard race for this or that, fitness based charity events are being paired with playful themes that are rapidly taking off. I think the first I ever heard about was the “Color Run”, about a year ago, which I was sadly unable to participate in. During the “Color Run”, participants begin dressed in white to run/walk/jog for 5 kilometers, each passing kilometer being marked by the baptism of a different color. Come the end of the event, everyone is experiencing something of a runner’s high, completely covered in brightly colored powdered. Then they get to party! Truly, it’s unsurprising that this sort of thing is catching on when the benefits are having fun, added health, and charity donations. 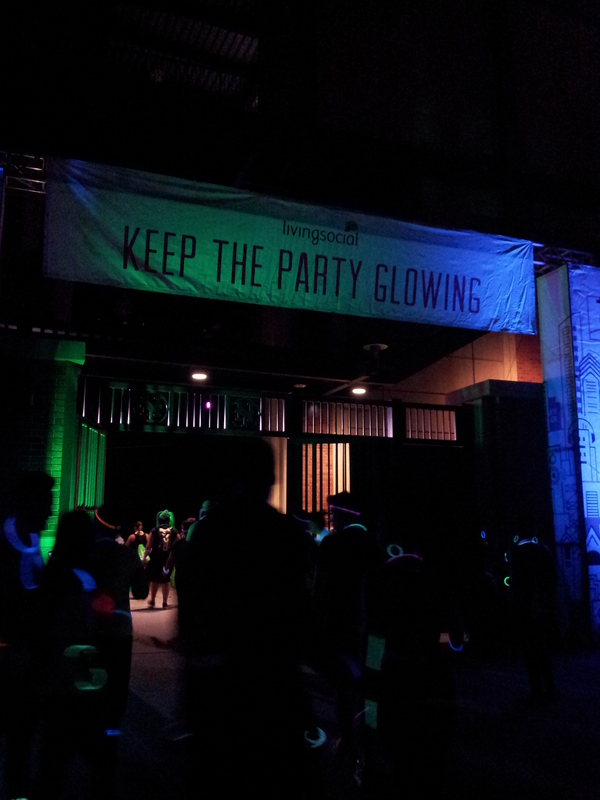 Enter the “Living Social 5k Dance Party”, one of the aforementioned offshoots of this very idea. Dance party within a dance party! 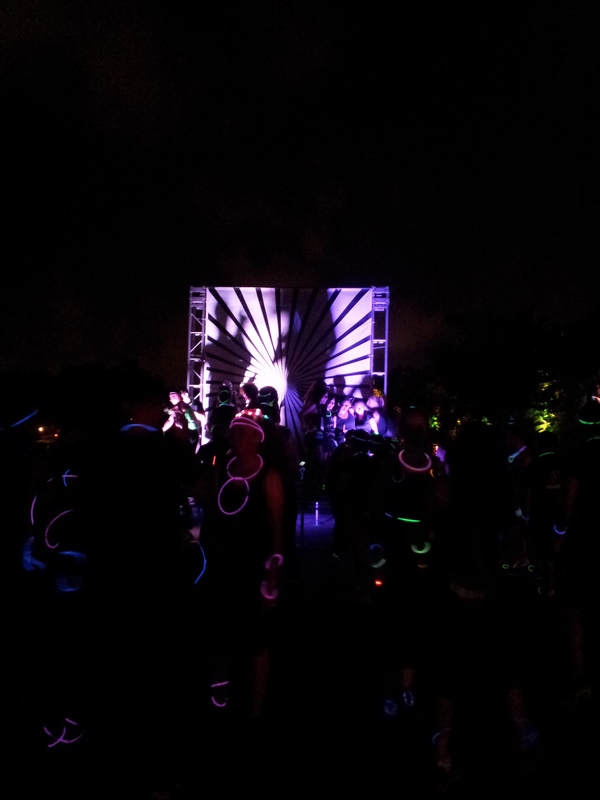 My initial plan was to sign up for the “Electric Run” that was to take place on July 27th. The “Electric Run”, much like the “Color Run”, would be a lively “race” for a specific charity with the added differences of it taking place at night, on a lit course blasting DJ’d EDM (Electrodance music), and featuring runners geared up in all things glow in the dark. It basically sounded specifically engineered for this here ex-Kandi Kid! Then, and I’m still clueless as what happened, the NYC date of the Electric Run disappeared from their website. It was dark times, indeed, since I’d been looking so forward to this! A few days after, I received an email from Living Social touting their “5k Dance Party” which was, for all intents and purposes? The same bloody thing as the “Electric Run”, ironically taking place on the same date and original location (Citi Field). In my innocence, I thought the whole thing simply got renamed so, I went right ahead to sign up. I spread the word but all of my friends insisted that the ER was, indeed, something different and that a new date was in the works. Guess who was right? Hint: It wasn’t me! 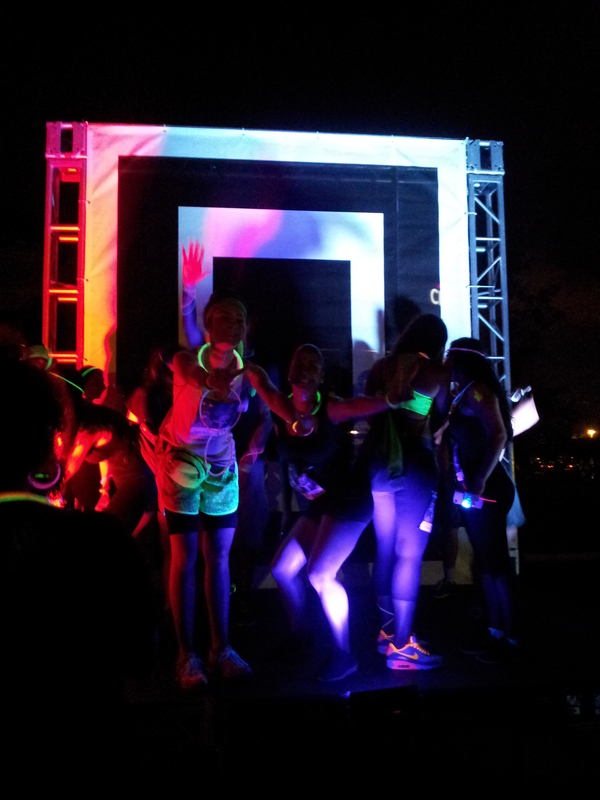 The Electric Run was later announced with a new date and location, Sept. 28th at Aviator Sports, and everyone signed up for that instead. Looked like I’d be going it alone at the Living Social event though, to be fair, this turned out to be a good thing; I’d already made incredibly important plans for the new ER date and wouldn’t be able to go anyway. 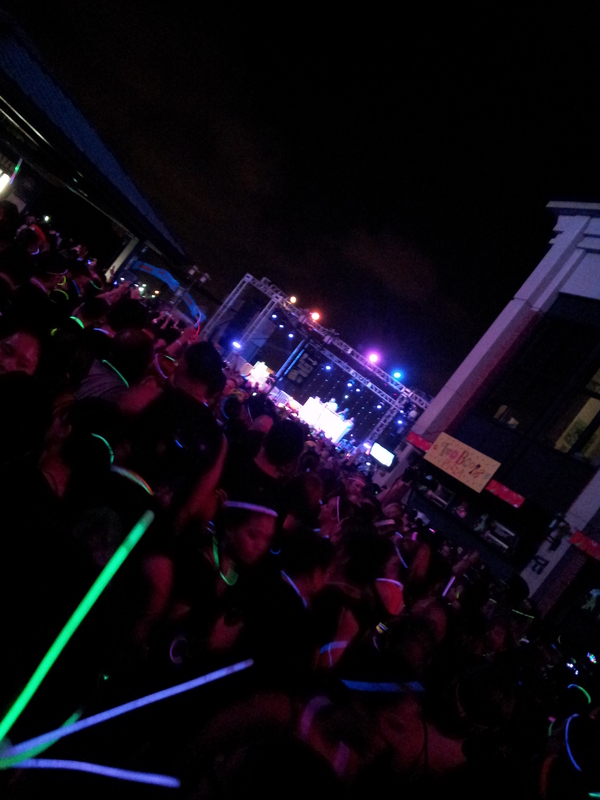 C’est la vie, the 5k Dance Party was going to happen. Yeah, they’re having a blast. I’m not, in any way, a runner. Ask any friend and the first thing they’ll probably tell you about me, in regards to fitness, is that I.Don’t.Run. I enjoy cardio, don’t get me wrong. What I don’t fancy is when my breasts feel battered from bouncing up and down for a prolonged period of time! Hey, let’s just be open and honest about the things women have to deal with when it comes to running, okay? Facts are facts. I figured I’d walk the course, maybe occasionally get my dance on for a little over 3 miles as, in this case, there really wasn’t a losing party and at least my money would go to a decent cause (solar lanterns for schoolchildren in Somalia). I arrived to Citi Field on a packed 7 train, with everyone more than obviously headed to the same event, and here’s where I noticed that there were some serious runners in the mix! Amongst the folks like myself who were just there for a good time, there was a large number of people that were all about their stretching, hydration, and compression gear, ready to throw down for a 5k. Exciting, yes, and also intimidating. What was I doing there, alone, my only intention to walk when I was fully capable of running? I felt both out of place and inspired. So, you know what? I said “screw it”! I would commit to this thing to get the most fitness benefits possible; I could always cry about my DOMS (delayed onset muscle soreness) in the morning. Besides, it’s not like I had naysayer friends holding me back, amirite? Also, my extra-supportive sports bra sort of demanded that I, at least, try. On a course tricked out with music, lights, and strangers, with a finish line dance party being my reward, I completed my first official 5k. It was a proud moment. I took turns walking, jogging, and running but I finished rather than punking out. I loved that our special brand of summer heat had broken enough to allow the practice, as well as how well Living Social managed to organize the event fairly painlessly. Afterward, though I thought it’d be fun to join in on the reindeer games i.e. the actual party portion of the evening, I was spent, choosing to eat an overpriced veggie dog and flee instead. While it’s true that I’ll be sad to miss the “Electric Run” with all my buddies, I’m also stoked that my introduction to this semi-new trend went as well as it did! Now if I could just get up the nerve to do a Zombie Run… Umm. Maybe next year! Witness! The promised party land.